Jose Mourinho was making a huge statement when he dropped Paul Pogba from his starting line-up during his last few games in charge at Manchester United. The Portuguese boss was basically saying that the World Cup winner was no longer part of his longterm plans. Yet it was Jose and not Pogba that departed first, the club’s board had clearly seen a rot set in at Old Trafford and needed to bring in a new gaffer to get the players back onside. They’ve acted quickly in bringing in club legend Ole Gunnar Solskjaer as the new interim manager and the Norwegian has had instant results. He’s brought a positive attacking approach back into United’s game-plan and they’ve won their first two Premier League games since his arrival, scoring eight times in the process. I said, when Ole got the job, that he needed to bring out the best from his talented players and in particular Paul Pogba. The Frenchman has all the qualities needed to be a world class performer, dictate games and become a regular match winner. Solskjaer put the creative central midfielder straight back into the team and Pogba has produced two swashbuckling performances. I think a football manager should always play to a players strengths. Instead of giving Paul the freedom to be the club’s chief creator, Mourinho would want him to be more defensive minded and to sit back. You can’t demand that for the majority of the game, not from a player who is at his best when he has the ball in the opposition’s half. By all means ask him to help out more, if needed, but don’t try and totally change the player’s mindset. 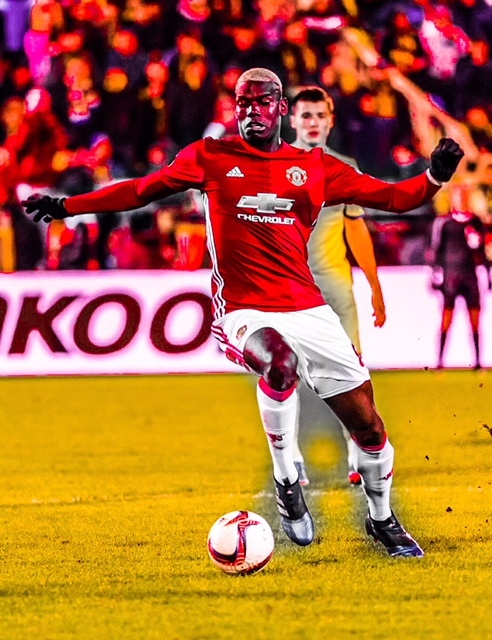 Pogba in particular seems to have taken that message to heart and is loving life back in the team and being an attacking maestro. When you look at the player’s heat-maps during Man United’s wins over Cardiff City and Huddersfield Town, you’ll notice that he’s giving the team balance on the left and pushing forward when given the opportunity. He’s also seeing plenty of the ball; 111 touches in the Cardiff game and 117 touches against the Terriers (stats from Whoscored). Against Neil Warnock’s Cardiff City side, the midfielder made more passes than anyone else on the park and importantly he created two assists for teammates. Then in yesterday’s win, the twenty-five year old was always looking to get on the ball and he produced two great goals to help secure the home victory. His finishing against Huddersfield was sublime. Pogba expertly found space inside the opposition’s penalty area and when Ander Herrera fed him the ball, the French international kept his cool as he steered his shot home at the near post. The former Juventus man’s second was one right out of the Paul Scholes playbook. Jesse Lingard gave Paul the ball outside of the box and he took one touch to control the ball before drilling it beyond the goalkeeper! Don’t get me wrong, the player still needs to work on defending set-pieces as he fell asleep twice during those situations yesterday. He can also, in my opinion, step up a few more gears. But it’s great to see him smiling and happy on the pitch again. Now some Red Devils faithful will question why he didn’t give the same commitment whilst playing under Mourinho. Well there are two points here. Firstly, we’ve all had to work under difficult bosses and our performance is effected by the constant bickering. Secondly, he was still doing a decent job when given the opportunity to play in a more attacking role. Pogba is currently United’s third top league scorer this season with five goals and he leads the club’s assists charts with his five assists. If Ole Gunnar Solskjaer can continue to get the best out of Paul Pogba by playing attractive football then I fully expect them to challenge for a top four spot and for the fans to enjoy the remainder of the season.